Church has always been a part of my life. I have a ton of relatives that are ordained and it goes back generations. Personally, I have found the aspect of going to church very frustrating. I am a bit of a nomad. I have moved every year for the past 4-5 years. I have made good friends in the places I have lived, however, church has been… disappointing. First, I am not a morning person. Maybe, I should be excited to go to church at 10 am and awkwardly greet the person in the pew next to me as I accidentally yawn while trying to introduce myself. It is slightly embarrassing. Second, how does an introvert like myself fit into this kind of a setting? I sometimes shut down when there is 3 or more people around me. I can get pumped for a bit, but it’s exhausting for me. The push to meet people and build relationships in these settings is quite difficult for me. Third, churches that have Saturday night evening services are usually mega-churches. If I do go and introduce myself to someone, I probably will not see them the next week. I am not saying that “traditional” or “legacy” churches are bad or evil. I benefited and continue to benefit from listening to church sermons online. This has been extremely encouraging in my spiritual growth. I also understand that most churches have “small groups,” which is also common on a lot of universities (both Christian and secular). 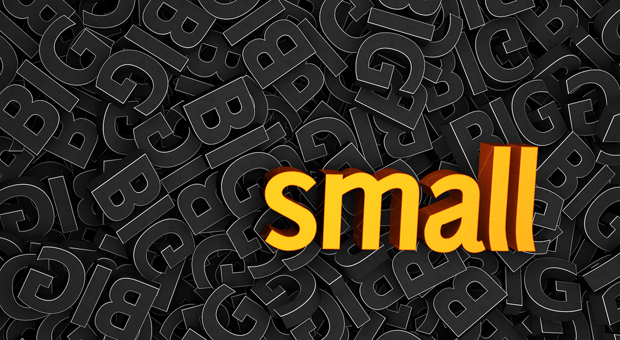 For me, these “small groups” have been more helpful in accountability and meeting people. Do I still shut down a bit in front of 5-6 other guys sitting in the circle talking about their weeks? Yes, yes I do. Ask Randy, Broch, Dan, Mark, Nick or Aaron. It happens every week. For us, our “small group” has become our church. This past semester, I transitioned from partially attending a “legacy” church to getting involved in a “simple” church (sometimes called “organic” or “home” church). The simple church I am in is a part of a network called Simple Church Alliance. Josh and I hold it in our apartment on Sunday evenings at 7 (Feel free to come!). It has its ups and downs. However, there is something crazy happening when a bunch of believers or “soon-to-be believers” gathering together, eating junk food, worshiping, discussing Scripture and asking tough questions. This dialogue is something I am so honored just to be a part of and the Holy Spirit certainly moves during these times. Other churches meet in homes or parks sharing in meals blending together family units to become a part of a larger Body. I was given the book Small is Big during a leadership meeting back in February. I just finished it this past month and just embraced the vision that it is about. The book does not disapprove or fight against traditional churches because there are huge benefits of them. It just proposes the benefits of how community happens within simple churches. It points out the deeper need for discipleship. As home churches gather together, accountability is more intentional. The longing to multiple and make disciples is on the forefront of people’s mind. There are no spectators, we are all participants who are furthering the Kingdom. Furthermore, anything that is done can be replicated by new believers while being encouraged and taught by more mature believers and ultimately the Holy Spirit. Can a new believer start a home church? Yes! Why not? First, the new believer has a network of friends to reach out to. Second, the new believer has the Holy Spirit to lead them in reaching out to others. Isn’t this what happened with the woman at the well when she ran into town telling everyone about Jesus? Jesus did not stay forever to make sure everything she said was according to the Hebrew law… Third, the new believer has a connection to another home church, where they can receive discipleship. Community and discipleship are key components of simple churches. An important point the book makes is whatever is being done needs to show an example that whoever enters that home church can be replicated. It tells of a story of a woman going into a homeless area and starting a simple church. Some of the homeless persons moved into minimum wage jobs, but felt like they could not start a simple church because they did not have the money to afford food/clothing to give away. They felt at a disadvantage to reach their old friends, so they didn’t. If what we are doing cannot be replicated by people coming to simple church, then there is a major issue. I think this is where some churches fall. People attend church and feel inadequate to be a part of any of the ministries there. This leads in further discomfort in being able to share their faith because they do not have a Bible degree. Ultimately producing “Sunday” Christians. Another benefit I love is that simple churches do not have be held at homes or on Sundays. What?! No church on Sundays?! Yes, that’s right. We live in a society, where the people we could be reaching out to have to work on the nights and weekends, so why are church services held only on Saturday evenings or Sundays? Second, some people feel so “unclean” in even going to church or maybe entering a “picture perfect” looking home, so why meet there? Why not meet where everyone feels comfortable – a coffee shop, a skate park, or an office space at work? Why not meet at 7 am or pm with a group of runners then meet at Jamba Juice to talk about Jesus? This is not a radical idea. It should be normal. Finally, I hope to see (as this book has mentioned) a network of home churches that represent all cultures. Churches are the most segregated places ever, we cannot deny this. If the Church is a house of prayer for all nations, are we representing this? Do we need to speak in their native language, be sensitive to their culture and reaching out to them with the peace of the Gospel? We all could benefit from learning how worship looks in a different culture and incorporating it in. If we are segregated now, then when we get to heaven it is going to be awkward if I never interact with another race. Let’s bring heaven on earth now. This post was originally posted on Nate Smith’s blog HERE. Nate Smith resides in Lexington and currently is a graduate student at Asbury University in Wilmore, KY.